Download this FREE EBook now for a behind-the-scenes look at the best practices of some noteworthy dealerships. 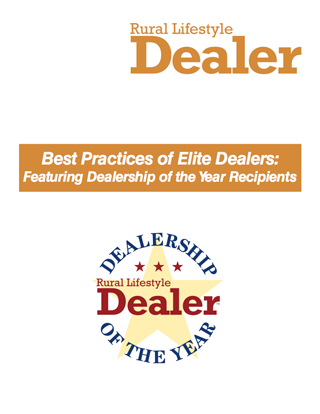 Since 2007, Rural Lifestyle Dealer is recognizing dealerships that set a standard of excellence with our annual Dealership of the Year honor. This elite group of dealers represent their brands well, deliver outstanding customer service, develop loyal long-term employees, and make a difference in their communities.